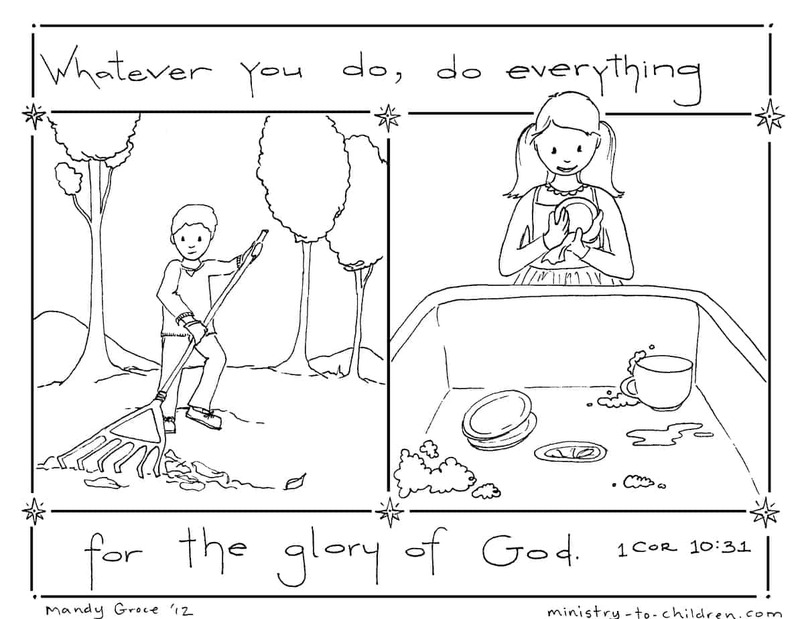 This printable coloring page is based on 1 Corinthians 10:31, “Whatever you do, do everything for the glory of God.” This is one of our favorite short Bible memory scriptures for children. 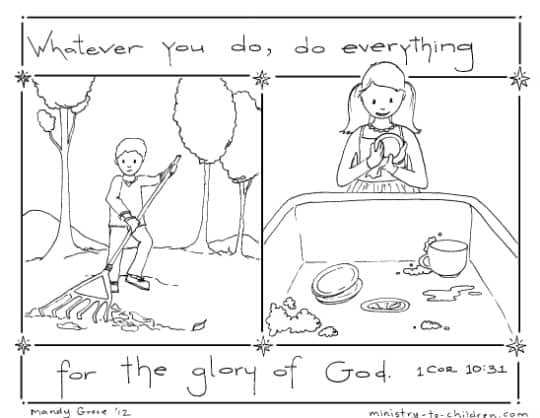 It would also be a great tool for teaching about the value of work in a labor day Bible lesson. Click on the preview image above to download a printable PDF document. We’ve also uploaded the same image as a JPEG file for advanced users who might like to edit the sheet. The image shows a boy raking leaves and a young girl helping with dishes. These scenes would be a great chance to talk about the importance of work and vocation. Please leave a comment below to express your appreciation to Mandy for her work. Tony Kummer (Editor) reviewed & updated this page on : August 25, 2015 at 8:55 am. All our content is peer reviewed by our readers, simply leave a comment on any post suggest an update.